For many of us riding in the depths of winter isn't particularly pleasant, but watching biker movies is an alternative that helps to feed the obsession!! I am curious about which ones other people watch, so what is your favourite? There is a thread on this somewhere in the depths of the forum, there is a plethora of Youtubers out there too, so for an old fashioned film I suggest Stone, Youtube reviews Marlon in five years he's punched out the grand total of 7 videos although worth a watch if you havn't seen them, then have a hunt for a chap called Loz Blain maybe stick motorcycle review in your search terms if you want some Guzzi content Lamb Chop Rides is pretty good IMO. If you have Amazon Prime they have a surprising amount of motorcycle related films. How about naming some of them? Mad Max. The original. Argue all you want about how it's not a motorcycle movie, I'm sticking to it. That was the only good Max movie. Lots of wild kawasakis, crazy right-side-drive kars and people talking in funny accents. Not a bad choice considering all the awful motorcycle movies. Where were the killer birds? I mostly watch youtube channels because I just can't sit around for 90 - 120 minutes watching a movie. Long way round and long way down are good! In long way down they actually tour the guzzi factory. Also "on any Sunday " brings a smile to my face! A short blast from the past..
Continental circus in 1972. Starring Jack Findlay and his wife Nanou. Here are a few research sources. I prefer Guzzi movies. 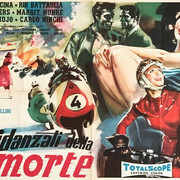 fidanzati della morte , lots of racing and Guzzi’s. Plus factory footage. 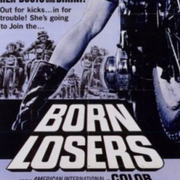 "Born Loosers" introduction of Billy Jack, played by Tom Laughlin and The Wild One, the original biker movie, staring Marlo Brando the original rebel, not Dean, in my opinion. Cycles South , second best motorbike movie ever made that is readily available . Road, a film which features the talent and tragedy of the Dunlop family and road racing. Dennis Hopper on the BillyBike defined cool. Born Losers and The Wild One (kids wearing Holister T-shirts have no idea). Sigh. Us 'Old School' riders are fading away. And the music was darn good too. 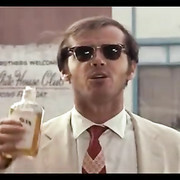 And then there's Jack Nicholson too. First of the days, fellows. For ol DH Lawrence. I would argue it's not a motorcycle movie, there are a couple of motorcycles in it but they are an aside. Agreed. 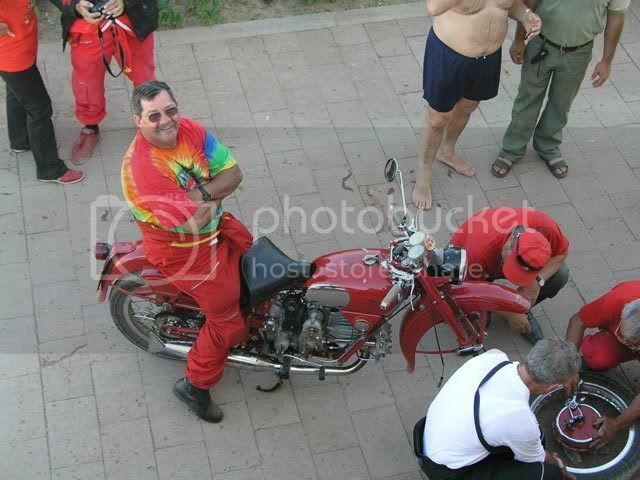 But as a snapshot of the general perspective on the 'Biker' persona of the period, it is reasonably accurate. Hopper fits that image better than Fonda IMHO. Worlds fastest Indian was enjoyable for me. 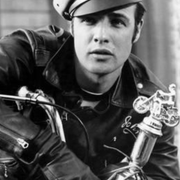 But On Any Sunday is my go to motorcycle movie. On any Sunday is really all there is. 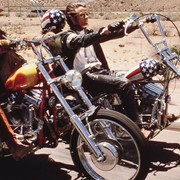 Which always seemed strange , because Fonda was s lifetime rider , Hopper barely rode , even in the movie . Actors acting . Uhhh, correct me if I'm wrong, but if they weren't acting then wouldn't the story line get hard to follow?? Or would every movie be like Seinfield??? Orrrrrrr, all documentaries?? I'm perplexed.......... .